MONDAY'S live Sky game takes us down to the Championship and could be a cracker between these East Midlands rivals. There's no love lost between Derby and Forest and it's a proper derby but this one isn't easy to call. 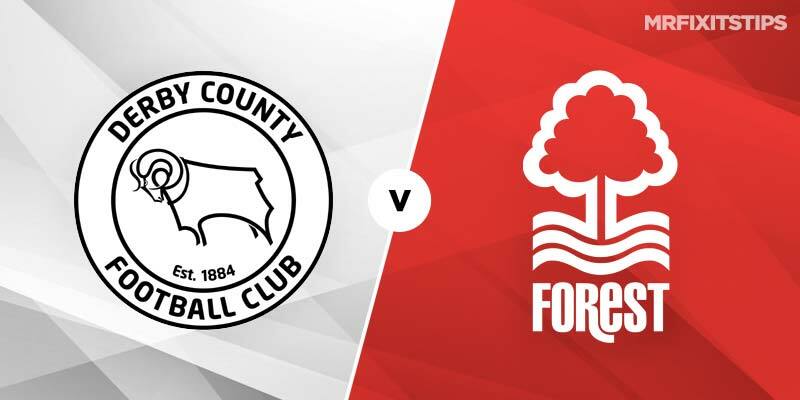 Derby are 19-20 favourites with 888sport as they go for three wins in a row and have edged three points ahead of Forest whose seven-game unbeaten streak ended at home to Preston last week. Forest's goal difference is better so they will climb above their hosts into fifth with a win and that's a huge carrot. Their 1-0 home defeat to Preston was a surprise since they'd been scoring freely and of course were involved in that incredible 5-5 draw at Aston Villa. So if it wasn't for that game this would scream goals. On the h2h Derby are unbeaten in the previous five and have won the last three at Pride Park to nil. Interestingly Forest haven't lost in five meetings away to top-half teams this season but four have been draws and a stalemate is possible at 5-2 with 888sport. Six of their 10 away matches have finished level. Both have scored in just three of 10 meetings and one of the last six and no to both to score pays 23-20 at 888sport. I hate backing that market though so if you want to go against the stats and back yes that returns 13-20 which is maybe a tad short. As far as team news goes Derby hope to have Joe Ledley back in midfield while Mason Bennett, Marcus Olsson and Craig Forsyth are injured and Bradley Johnson banned. Michael Dawson and Danny Fox back for the game. Dawson (hamstring) and Fox (foot) are battling to be fit for the trip to Pride Park. Forest are still without Tobias Figueiredo as he serves the last of his three-match ban. Hilal Soudani and Sam Byram are both missing with knee injuries. When I first looked at the game I thought draw and maybe 1-1 so it would be interesting to hear nathan's thoughts if he puts up a preview or his comments. It could be fiery but that's reflected by a bookings line being set at five while a red card pays 3-1. My only bet is a draw and while that looks like I'm sitting on the fence this one really could be tight.